My passion for fitness and healthy living lead me to a career in the fitness industry. I started as an employee with the Durban based Health and Racquet Group in 1994, working up the ranks to fitness manager and aerobic co-coordinator. 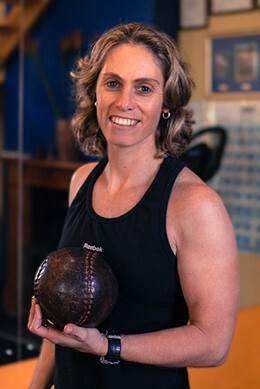 In 1996 I relocated to Cape Town to pursue a solo career as a Personal Trainer. Today I run a successful private studio supported by many great and loyal clients. Having come from a sporting background and with my love of fitness and people, I take great pride in motivating and encouraging clients to achieve their goals.